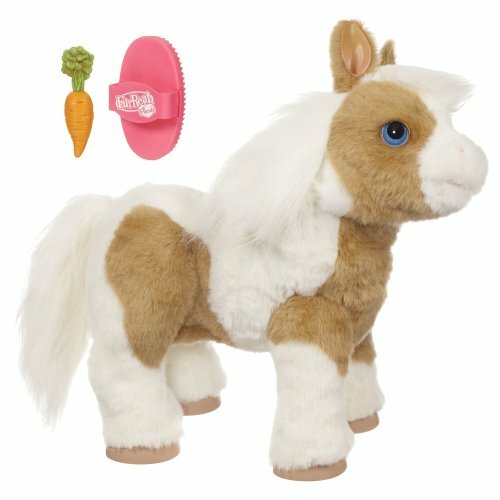 Fans of FurReal Friends Butterscotch Pony have a new toy to add to their shopping list: The Baby Butterscotch Pony. And what a cute little pony Baby Butterscotch is. She moves her head, she nuzzles you when you pet her, she makes chewing sounds when you feed her a carrot. She can be posed different ways, and has a comb for grooming. She moves when petted and whinnies. I love this cute little robotic toy! It’s my favorite of all the toys that move and interact with children. My granddaughter wants Butterscotch Pony and I can totally see why! She’s magical and adorable. You can buy this wonderful toy right here on this page. In a hurry? 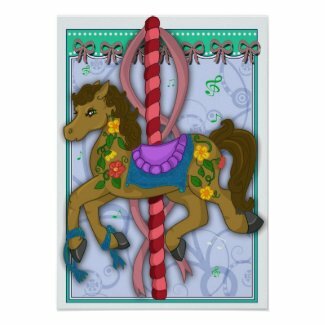 Click here for FurReal Friends Butterscotch Pony and Other Ponies. Image: Baby Butterscotch Pony Figure, available below. The manufacturer says this: This soft, cuddly miniature toy pony responds to touch, moving her head and ears while making pony sounds just like the real thing. When pet, she moves her head in your favorite horse lover’s direction or nuzzles up to them to show just how much she loves her new owner. The original FurReal Friends Butterscotch Pony, Butterscotch Baby’s mom. 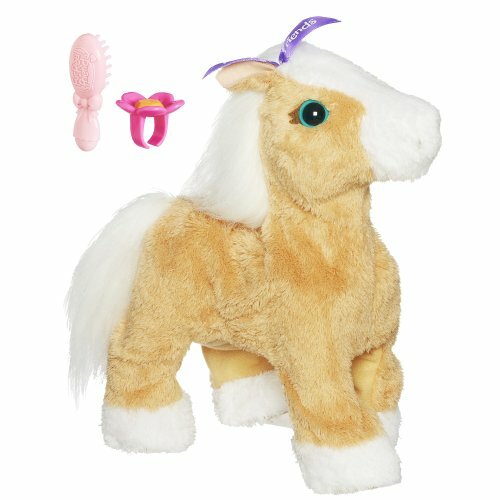 If your child is past the Baby Butterscotch Pony stage and ready to step it up a notch, Butterscotch Pony is perfect. Watch the video to see all the cute things this pony can do! Still searching for a Butterscotch Pony? Click here for FurReal Friends Butterscotch Pony and Other Ponies.